Chiang Mai is one of Thailand’s most popular destinations. There are good reasons for this, as this is a beautiful and vibrant city with a large number of natural, historic and cultural attractions. Chiang Mai is particularly fascinating if you explore some of the ancient areas within its city walls. Discover some of the highlights worth exploring in Chiang Mai. Chiang Mai, a city in Northern Thailand, provides a quieter and more natural environment than the bustle of Bangkok. Located at the foot of the majestic Himalayan Mountains, this is a city that has both urban sophistication as well as natural beauty. 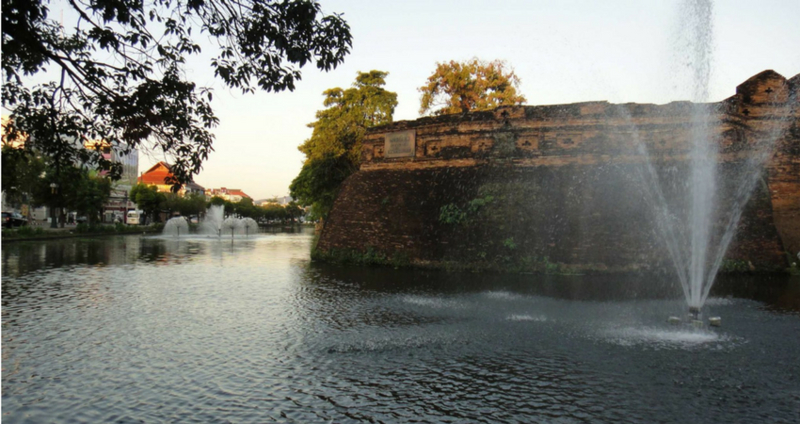 Chiang Mai, which was founded at the turn of the 14th century, is best known for its old walled city. You can find both domestic and international flights to Chiang Mai International Airport (CNX). Flights from Bangkok are especially popular. From the airport, the city is only about a 15-minute bus or taxi ride away. If you’re arriving from Bangkok and want to see as much scenery as possible, you could take a nine-hour bus ride or 15-hour train ride. The city walls were built at the time of the city’s founding. Like other cities of the period, Chiang Mai was built according to traditional astrological and religious principles. This meant that every aspect of the city’s layout, including walls, gates and moats, were designed to appease spirits and gods so they’d protect the city. Ceremonies and festivals dedicated to these protective spirits are still held today. Although many of the walls and gates were destroyed or dismantled over the centuries, considerable efforts to reconstruct them were made in modern times. Thus, when you visit, you can see the city much as it must have looked more than 500 years ago. Many tours begin at Tapae Gate, which was renovated in the 1980s. There are many beautiful and well-preserved temples and monuments inside the city walls of Chiang Mai. The following are some of the leading landmarks worth visiting. Chiang Mai National Museum. If you want to learn about the history and culture of Northern Thailand, visiting this museum is a must. It has exhibits and artefacts from all periods. There’s information about the people, geology and cultures of the region. All exhibits have information written in English as well as Thai. Three Kings Statue. This is one of the city’s most iconic monuments. Located near the center of the old city, this is on the site of an old temple. Today, the statue is in front of one of Thailand’s oldest high schools. Wat Chedi Luang. This Buddhist temple, built around 600 years ago, is famous for once housing the Emerald Buddha, which can now be found in Bangkok. There’s still an impressive collection of Buddha statues here, as well as elephant sculptures and depictions of guardian demons. If you visit this temple you can participate in the daily monk chat, where you can talk to monks and ask them questions. Wat Phra Singh Temple. This is another large and impressive temple you’ll find within the city walls. This temple is ornately decorated with gold, both inside and out. Like most Thai Buddhist temples, this one is still very active and visitors must respect the rules and provide space and silence when people are worshipping. In addition to the many impressive temples and monuments, one of the pleasures of exploring the old city is visiting the markets. The night bazaar, which is right in the city centre, is among the largest of these. You can find everything here, including food, clothing, jewellery, handicrafts and more. There’s also entertainment, such as cabarets and Muay Thai kickboxing exhibitions. If you’re looking to get a quality tailored suit or dress at a very reasonable price, Chiang Mai is one of the best places to go. The city has a number of highly regarded tailors with many years of experience. Many of them are from families who have practices the art for many generations. One of the best-known tailors within the city is CM Custom Tailor, which is near Wat Chiang Man Temple. 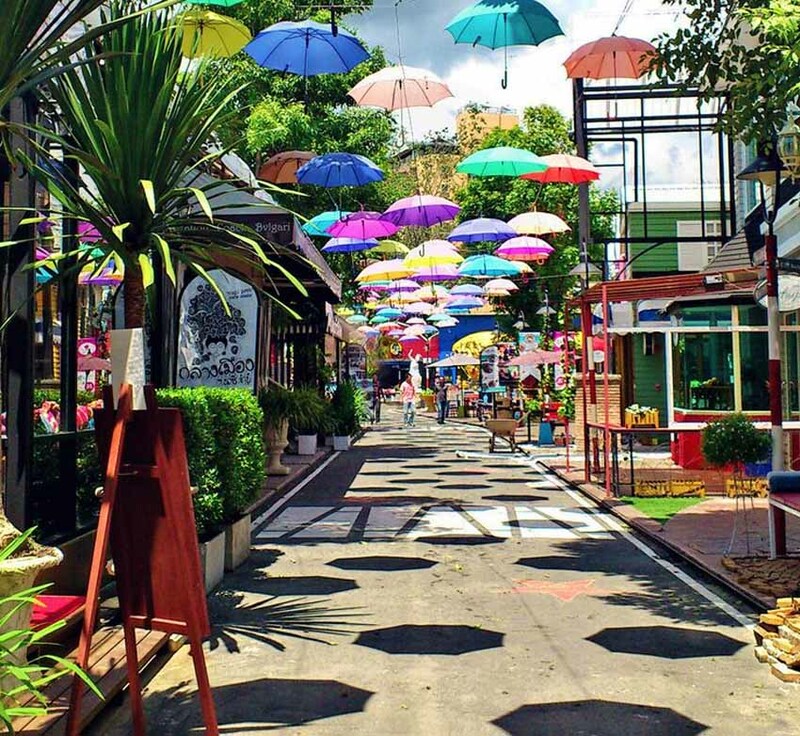 Chiang Mai also has several malls where you can get both traditional Thai food and crafts and more modern items. These include Central Festival and Maya Lifestyle Shopping Center, which has movie theatres as well as restaurants and shops. There’s plenty to do, eat, drink and see in Chiang Mai’s old town. If you just want a casual but delicious and satisfying snack or lunch, you can do very well buying food from vendors. There are restaurants in every price range. Chiang Mai is a cosmopolitan city, with expatriates from all over the world as well as tourists and locals. Because of this, there are also a wide diversity of cuisines here. In addition to Thai food, you can find burritos, Middle Eastern delicacies such as falafel, American style burgers and English fry-ups, to list just a few of the choices. Because of the Buddhist tradition in Thailand, there’s also a wide selection of vegetarian choices. One of the most popular night spots in the city is Dash Restaurant and Bar. This lively spot is located on Moon Muang Road, a side street in the old city. In addition to food and cocktails, you can often find live music here. Also on Moon Muang Road is The House Restaurant and Tapas Bar, a beautifully decorated high-end restaurant that combines Thai and Western dishes. The Glasshouse, which really is made of glass, is one of the old city’s most modern looking structures. They serve traditional Thai food along with a variety of international dishes. 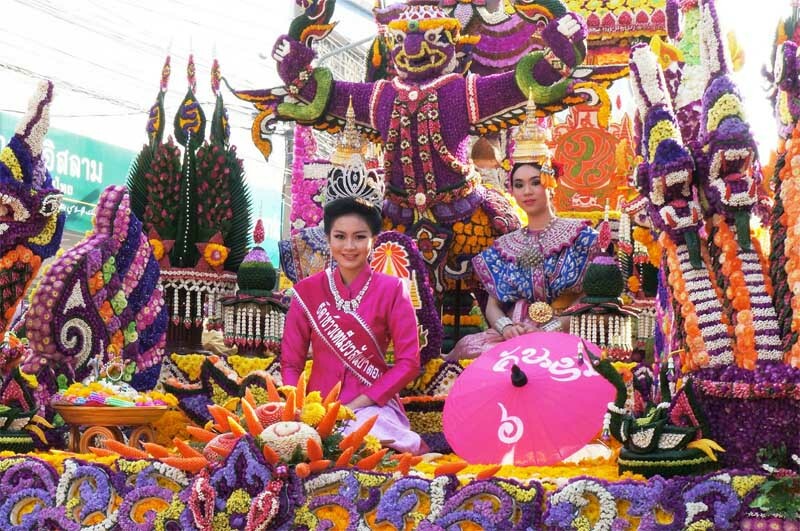 The foods and entertainment you’ll find here are often referred to as Lanna or, written as two words, La Na, which describe the traditions of Northern Thailand. A good place to experience a variety of these traditions is the Old Chiang Mai Cultural Center, which has food, dance, music and Muay Thai matches. Another venue where you can experience traditional Northern Thai entertainment is Sibsongpanna Khantoke, where you can dine as well as enjoy a dance performance. One of the most luxurious ways to appreciate the splendors of Chiang Mai is to find a location where you can watch the sun set across the city. You might, for example, enjoy sunset cocktail hour on the rooftop Rise Bar at the akyra hotel in Chiang Mai, which also has luxurious accommodations for travellers.